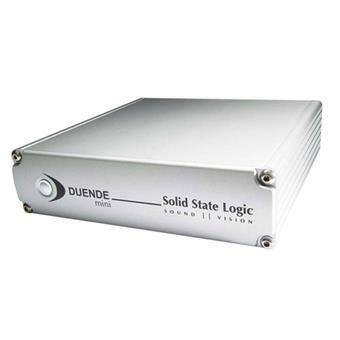 Duende puts the legendary SSL sound within your DAW and Duende Mini makes owning your own slice of SSL sonic magic more affordable and portable than ever. Mini is a stylish little ‘one third rack width’, all metal construction, desktop box that hooks up to your computer via Firewire. 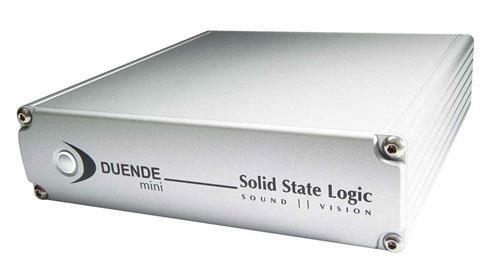 This compact rugged unit is ideal for small studios or laptop based DAW users. 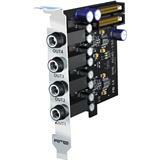 Mini makes a stack of DSP processing power available to drive up to 16 mono channels of plug-in processing (at sample rates up to 96kHz) within your host application. Duende Mini is upgradeable to 32 channels of processing power and you can run two Duende units on a single computer system for up to 64 channels of processing.